For more than 100 years redband trout have lived as separate populations upstream and downstream of the North Canal Dam along the Deschutes River in Bend. “… They need to intermix and interbreed to maintain good, healthy populations,” said Ryan Houston, executive director for the Upper Deschutes Watershed Council. The Bend-based nonprofit is focused on restoration and education along the Deschutes and its tributaries. The Oregon Watershed Enhancement Board earlier this fall awarded a $689,000 grant to the watershed council for the fish ladder project at North Canal Dam. Houston said the project will cost more than $1.6 million. 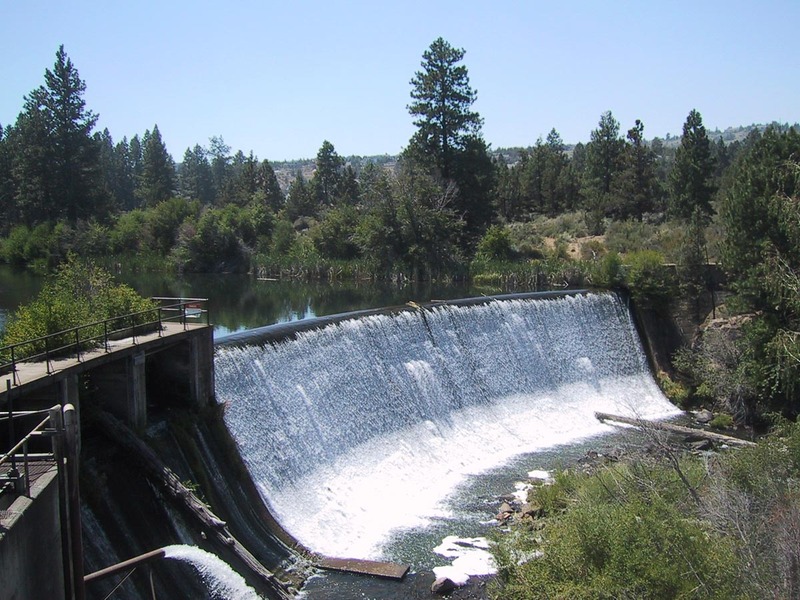 The Oregon Department of Fish and Wildlife is giving more than $602,000 to the project, and three irrigation districts that use the dam to divert water are adding the remaining $378,000, according to the watershed council’s grant application with the state. The irrigation districts contributing to the project are Swalley, Central Oregon and North Unit. State and Deschutes County Historical Society records show the 33-foot-tall, 200-foot-wide concrete dam was built in 1912. The dam is west of Northeast Division Street and upstream of the Riverhouse Hotel and Convention Center. Made out of stainless steel, the 6-foot-wide and 5-foot-high fish ladder will snake down the east side of the canyon just downstream of the dam. “Imagine a big water slide,” Houston said. But not one designed to be fast and fun. Instead, a series of baffles and weirs in the fish ladder aim to make water flow at a welcoming pace for fish, heading up or down the river. Small towers are planned to support the fish ladder as it winds up to the top of the dam.